Mining's search for sustainability: how far have we come? Ten years ago, the mining industry, in collaboration with IIED, set out to explore how it could maximise its contribution to sustainable development through the Mining, Minerals and Sustainable Development (MMSD) project. So, what has happened since then? A new report looks at progress and the issues still to be tackled. The final report of the MMSD project, Breaking New Ground, was published in 2002. A decade on, what has been its impact? Our new discussion paper, MMSD+10: Reflecting on a decade, is intended to kick-start reflections and conversations with key stakeholders. The paper raises many questions about how well the mining industry has put sustainable development theory into practice. The research is based on the perspectives of just a few stakeholders and initial independent research. Our work over the coming months will highlight apparent progress and barriers, and discuss where we might go next. Both the mining industry and the sustainable development agenda look somewhat different today — as does the global context. Commodity prices have boomed since 2003 (and experienced a relatively quick post-recession recovery). The global production of major metals has continued to increase. And some of the big players are even bigger, with $132 USD billion spent on mergers and acquisitions in 2011 alone. 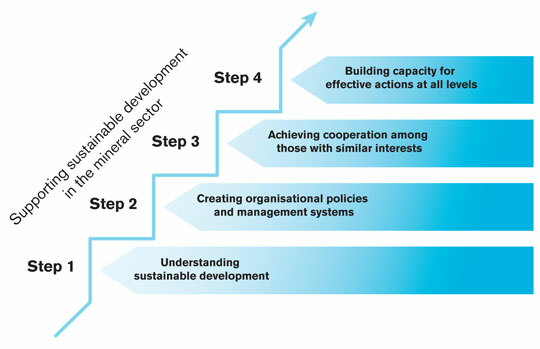 The thinking and language about sustainable development also looks a little different. Conversations on the Millennium Development Goals are being replaced by the Sustainable Development Goals (SDGs) — with a broader sustainability remit than its predecessor. The term 'green economy' has entered the fore, bringing a renewed focused on resilience, renewables and recycling. Human rights and transparency agendas now dominate the international arena for the extractives industry — while climate change continues to fight for its space at that table. IIED has begun to review progress against the agenda laid out by the original MMSD project and to explore some of the main achievements and challenges. It is clear that much of MMSD's agenda is still relevant today. Issues such as the environment, community development and health and safety remain, although the framing is somewhat different – with an increased focus on water and resource scarcity, greater focus on partnerships and local participation, and community wellbeing. There have been important achievements in the past ten years. The private sector has an increased understanding of sustainable development, and companies, civil society and governments now share a language of what sustainable development means for mining. MMSD can justifiably claim to have been a key contributor to creating the foundations of this understanding. The International Council on Mining and Metals (ICMM) has taken on the task of "the largest centre of follow-up activity" for MMSD – and has successfully filled many of the gaps in understanding and guidance that were identified by MMSD. Unfortunately, its counterparts, representing artisanal mining and government stakeholders through the Communities and Small-scale Mining (CASM) initiative and the Intergovernmental Forum on Mining, Minerals, Metals and Sustainable Development, have had mixed success. Community development is a high priority for companies, but remains one of their greatest challenges; artisanal mining is a neglected and underfunded area; and the capacity of governments to effectively manage revenue from mineral and metal resources for development remains low in many cases. Missed opportunities in tackling free, prior and informed consent and cross-supply chain issues also need to become key priorities. Our ten-year review is based on 36 interviews with key stakeholders in the mining industry and MMSD process. But we want to widen the conversation. We would like to hear your views on what you think the biggest achievements or failures have been, and how this is shaping the agenda for the next 10 years. We aim to share some of key issues arising from this research. We want to know your thoughts on progress along the four steps to supporting sustainable development in the minerals sector — as identified in the original MMSD report, Breaking New Ground. How far do you think the mineral industry has come in its progress towards sustainable development? What has been important in the past decade to achieving progress? And how should those achievements and the lessons learned shape the agenda for the next decade? You will find an analysis based on our research in the paper but we would love to hear your thoughts in the comments box below. The Mining, Minerals and Sustainable Development project: An introduction to the work, plus all the MMSD material, including the Working Paper Series, final reports, regional reports, project bulletins and workshop notes are available for free download. Mining: Big progress but new challenges as sector searches for sustainability: Media release for 'MMSD+10: Reflecting on a decade'.